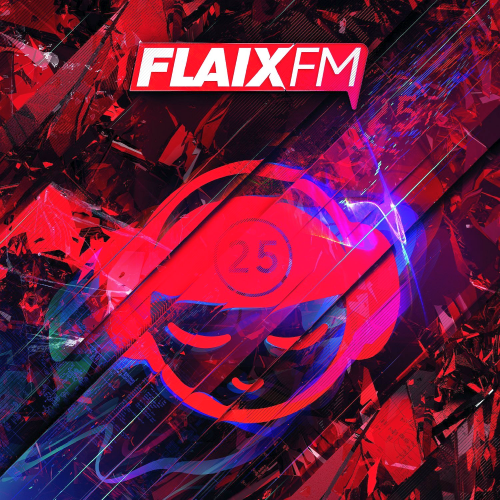 Date: 26.02.2018 | House, Dance, Club, Disco, Reggae, RnB, Pop | Tags: Flaix FM, 25 Aniversario, Sony Music Entertainment, Universal Music Spain, Warner Music Spain, Kate Ryan, Martin Garrix, Daft Punk, Pharrell Williams, Dj Antoin | Download Flaix FM 25 Aniversario (2018) for free. We already have it here! The album that commemorates the 25th anniversary of La que mana is now available and you can buy it both in physical and digital format. A compilation that contains 4 CDs with 80 tracks that have marked an era and, above all, a generation. From Gigi d Agostino, Starsailor or Pont Aeri, through DJ Antoine, Eric Prydz to pick up the most important issues of the last decade, produced by Calvin Harris, David Guetta, Bob Sinclar, or Martin Garrix. A disc that is also presented in a special format that incorporates a small booklet that collects some memories and opinions of some of the DJs that have gone through the radio in these 25 years of history. The CD can be found in the main department stores and in specialized stores.